Find free classifieds for Property for sale for sale or to buy in Orissa. FREEADS in India offers you a platform to post free advertisements or classifieds for Property for sale, Orissa. FREEADS in India helps you search, find, buy, sell, rent or hire in various categories like apartments, goods for sale, local services, cars , jobs and many more in Orissa. Shown below are ads available in Property for sale, Orissa. You can use search box above to refine your search. The plot is situated just the center of a existing market. (koilama market square) The plot is adjacent to the connecting road of Chandpur & Raj Sunakhala. Which has been declared as national highway. The plot is just between the main road of Ranpur & Sunakhala. It is hardly 4km away from Raj Sunakhala Railway station. Well connected plot having electricity connection is for sale at a price of Rs. 550 only per sq-ft. Total of 3000 sq-ft. land is available at Rasulgarh Industrial Estate, Bhubaneswar.. Plot Details of Balikuda : The Residential Land has nearer from Gopalpur Railway Station. About 2K.m From Link Road, Cuttack. About 1 K.M From N.H-5, 30 feet wide Main road , 20 feet wide sub-road linking with Our Plot .Full Boundary Wall of each plot. Immediate Registration And Possession.This plot is under CDPA of CDA & Municipality area. 2610sqft residential land for sale in mauza SARTOL in Cuttack district. The land is within the municipal corporation and 1.2 km from Nayabazar chaik.The specification of land is a Single owner, Gharabari converted, compound wall, squire size plot and no broker interference.The location is very good and it is just 4 km from cuttack railway station, 5km from Badambadi bus stop. Buy plot at a perfect location in Bhubnaeswar, at just 249 per sq. ft. The plot is sourounded by OEC College, Infocity3, IDCO Project and just at the Back Side of XAVIER University and INDUS College, having Bus stop, Railway station and Airport, within 15 km of radius. Website: http://www.odisha-property. 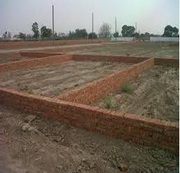 plots on sale near Dangarpada, Padiabahal, Sambalpur. read it properly and then sms/message me back. 1st patch of around 2-5 decimil is 5000/decimal.25/(also available on easy monthly installments) hurry up 2nd two patches of around 2-3 decimil is 7000/decimal. 25/34 0r 25/52(also available on easy monthly installments) hurry up. After 1st and 2nd plots sold the rate per decemil will be 10000/ decemil. The ideal location for any one’s dream home. A combination of serenity with luxury come alive with the project. It’s for families who share all good things in life. Own comfort, space, health, sophistication & elegancy together for yourself. There is peace & greenery for your parents, play area & space for your kid and the coziest corner for your beloved one. 10 dismil plot in pradhan palli @ rate—2.5 lakh per dismil , this better place for sale any one who intrested to buy this land please contact me in this number so hurry up and go ahead prime location at pradhanpalli, rourkela, sundargarh, odisha, india no- 969 278 7387. 1200 square foot land in kaling bihar, rourkela, chend @ rate 28 lakh , this better place for sale any one who intrested to buy this land please contact me in this number so hurry up and go ahead rourkela, sundargarh, bhubneswar, sanbalpur , chhend, rourkela, sundargarh, odisha, india. no- 969 278 7387. LAND FOR SALE ECR LAND FOR SALE: ECR PONDY TO CHENNAI ROAD. 25cent for SALE Contact: Owner Directly (0)9442865661. 1200 SQUARE FOOT LAND IN KALING BIHAR, ROURKELA, CHEND RATE 28 LAKH , THIS BETTER PLACE FOR SALE ANY ONE WHO INTRESTED TO BUY THIS LAND PLEASE CONTACT ME IN THIS NUMBER SO HURRY UP AND GO AHEAD in a good place its a good offer NO 9692787387. The Temple Town, located in Jajpur Road, is one of the residential developments of Newleaf Estates. It offers spacious 2BHK , 3BHK and 4BHK villas. The project is well equipped with all the amenities to facilitate the needs of the residents..
DAYAPALI 900 SQFT PLOT FOR SALE ON RS 100000/- AT DAYAPALI, ANKUSPUR, NEAR BERHAMPUR, ORISSA HEIGHT- 60 FT WEIDTH- 15 FT PLZ CONTACT ME- 7855852916. I WANT TO BUY BDA URBAN OR RURAL AGRICALTURE LAND AROUND BHUBANESWAR FOR INVESTMENT PURPOSE. PROPERTY SHOULD BE IN (patrapada sijua, dumduma, patia, chandrasekharpur, saileshribihar, gajpatinagar, vanivihar, kalinga nagar, kalinga vihar, ghatikia, tankapani road, satyabhamapur, sundarpada, jagmohannagar, suryanagar) CONTACT RAJENDRA - 8763152521 or mail me on rajendras715@gmail. 1742 sqft hot commercial property at heavy posh area Station Bazaar Road Balasore behind CityLodge, near durga mandap. All amenities available on the spot ATM, Banks, Bus/Taxi stand, Cinema hall, Rly Station, Main market, institutes, offices etc. Ready to build office, showroom, plaza, restaurant, lodge etc. Agents get 5% on spot commission. Well furnished, newly constructed, unused 2BHK flat for sale.With all facilities available.The price listed above is inclusive of all taxes and charges. Address: Gajapati Nagar 6th Lane Near Hanuman Temple Area Sq Feet:917 Furnished:Fully Furnished. India ads for Property for sale, Orissa, Property for sale free ads Orissa, Property for sale for sale Orissa, Property for sale to buy in Orissa. This page is a classified ads listing for Property for sale Orissa. This listing includes classifieds for sale and to buy in Orissa. If you posted an advertisement on Property for sale, Orissa before please use Edit my ads button to change or cancel your ad. Property for sale Orissa ads Orissa, Property for sale classifieds Orissa, Property for sale free ads Orissa, ads for sale Orissa, ads to buy Orissa, FREEADS in India. Find here ads for sale, to buy and rent in Orissa. Goods for sale in Orissa, vehicles for sale in Orissa, Orissa real estate for sale, Orissa property for sale, property for rent in Orissa, business ads in Orissa, Orissa business classifieds, services in Orissa, Orissa services ads, jobs in Orissa, pets for sale in Orissa, Orissa dating, Orissa cars for sale.